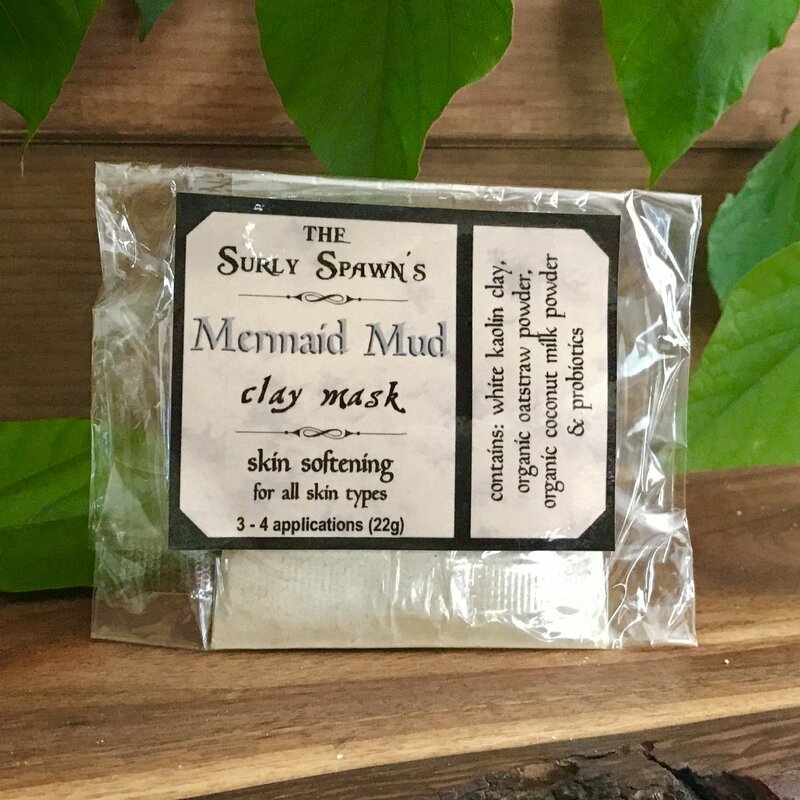 The Surly Spawn's Mermaid Mud "skin softening" clay mask is specially formulated to gently draw out toxins & impurities while the organic oatstraw delivers high amounts of skin nourishing silica. Coconut milk is added for vitamins and moisture while a shot of probiotics are added to maintain the healthy balance. ingredients: white kaolin clay, organic oatstraw powder, organic coconut milk powder and probiotics. directions: using a non-metal bowl and utensils only, mix 2-3 teaspoons with water or other liquid at a 2:1 ratio of clay to liquid to make a semi thick paste. 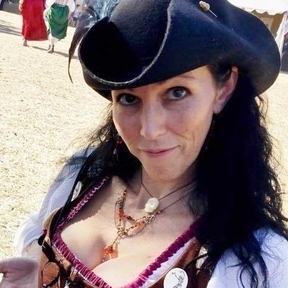 Adjust as needed to suit your preference. Apply to face in a thin layer and allow to dry 10-15 minutes or until tightening is felt. Rinse with warm water and pat dry. Use 1x per week.